I just got a Nikon D750 body and TTL passthrough is not compatible with this model. Can you guys release a firmware update to the Cactus v6 to address this please? Thanks! May I know what flash you are using and how you set it up with the camera , flash and the V6? FYI, to use TTL pass-through, the V6 has to set in TX mode. The V6 is sandwiched between the camera and the flash hot shoe. Then the flash should work as it mounts directly to the camera. The TTL pass-through doesn't work in wireless mode because V6 Tx unit doesn't transmit TTL signal to other V6 Rx unit, and vice versa. make sure that you've got the flash profile correctly selected in TX mode, when using TTL pass-through. The latter does not activate a hardwired connection but relies on the correct flash profile to be chosen. I know how to work the units thank you. I've shot about 20 weddings on them and know how to set the profile. I was using Nikon D3s and the ttl pass through was working fine on camera. It does not work on the 750. Please do not come back with another user error response and actually look into the problem of ttl pass through compatibility with the just realeased Nikon D750.. Thanks again! Please do not come back with another user error response and actually look into the problem of ttl pass through compatibility with the just realeased Nikon D750. I didn't say it was a user error. I just suggested to make sure that it has a chance of working. I'd suggest to maintain a friendly and grateful attitude since this is mainly a user to user forum that is also monitored by Cactus as much as their resources allow. I didn't say it was a user error. Giving me basic instructions on how to use the product properly is absolutely a user error based response. It doesn't matter if you used the term user error. 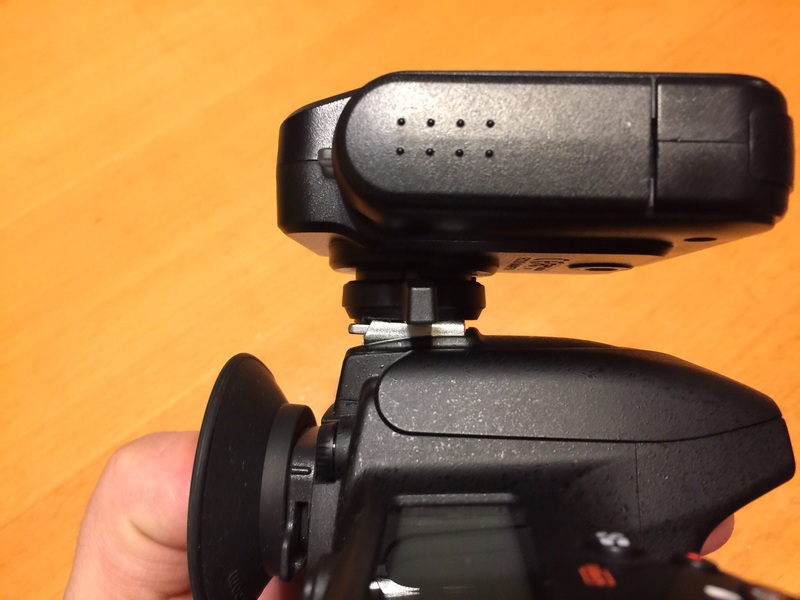 The TTL pass through feature of the V6 does not work on the D750 with a sb-900 or sb-910 mounted on the transmitter. I suspect that it may not work on the D810 as well. Since the D750 is about to be one of the most popular Nikon bodies Cactus may want to look into getting their triggers to work with them. I thought Cactus should know and as a customer who recently invested in the Cactus V6 system I would like the situation to be looked into, not told I'm using the product incorrectly. We found that the D750's hot shoe is slightly wider than other standard hot shoe, such as 5D3's. Please see the attached picture. So, the D750 may occasionally lose contact with the V6 if the V6's hot shoe pushes all the way in. So, it causes TTL pass through not to work. 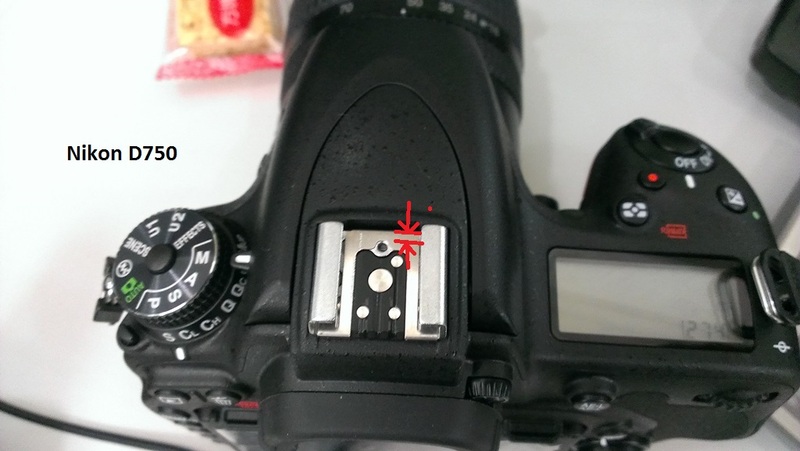 However, from the picture, the distance between the D750's locking pin hole and the center pin is the same as other hot shoe. When you place the V6 in the correct position to the locking pin hole, the V6's TTL pass-throught can work as it should. We tested it with our D750 and V6 in TTL pass-through mode. It works like a charm. I have been doing a lot of research and comparing the hot-shoes of all of my camera bodies and flashes (and triggers.) Here is what I have come up with: the D750 shoe has some play in it, which can cause malfunctions, but the Cactus V6's locking pin doesn't come down far enough. I have also had problems with the top shoe on the Cactus V6. I really think there was a bad production run or something. My Godox V860 and Nikon SB-910 both can move around so much in the V6's shoe that they can lose communication. I really hope someone from Cactus will address this issue, well, these issues. the locking pin needs to be longer and I think the hole for the locking pin in the top needs to be larger diameter. 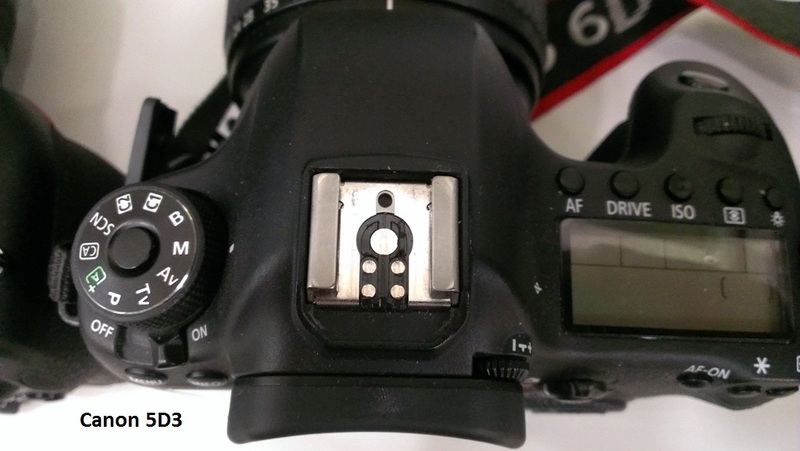 The Nikon hotshoe appears to be loose when mounting the flash on the top. 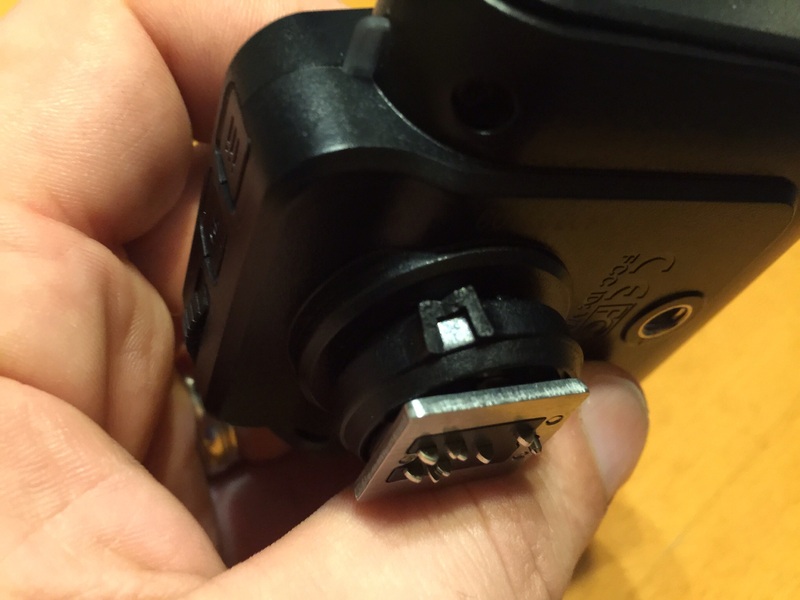 It seems that the Nikon camera hotshoe is 1mm wider than standard ISO hotshoe. When the SB-910 is mounted directly on the top of the Nikon camera, then shake the SB-910 a little. You will find a wobble. But, don't worry! The flash is lock securely with the lock pin. So, it won't slide out. The same situation applies to the V6. BTW, both V860N and SB-910 works fine with V6 as expected in our test. But if you can link me to videos or photos to address the problem. I'm happy to forward that to our engineering team for inspection. As soon as I get home, I will make a brief video illustrating that the locking pin on the v6 never actually locks. I must have some defective units or something. I got home and was making my video and stumbled upon some issues. 2. One of them won't lock on to either of my D750s or my D4. I think it is defective. 3. My problem was that I wasn't spinning the locking bar far enough, the catch to this is that I have to spin them so hard that I broke the lever off of one of them. 4. Neither of my Godox v860n flashes will lock onto ANY of my V6s. First photo shows how far the locking bar has to be turned in order to engage locking pin. Second photo shows the broken arm from one of my v6. Sorry. Here is the second. Here's another little interesting tidbit. The top shoe on the Cactus V6 is incompatible with even itself. Click here to watch the video I made on Youtube. We will improve the locking pin in the next production of the V6. If you want to replace it, you can send it back to our once the new pin is available. Please email to our customer service at info@cactus-image.com for more details. On the other hand, the broken lever is not usual. Maybe you can contact your deal to get it fixed or you can send back to us for repair. Please email to us for further instruction. I just purchased THREE V6s in hoping to replace my Phottix Odin almost solely because of its TTL pass-through feature. After initial setup, all three units would fire and receive properly (with the disappointment that the max sync speed was only 1/200th with the D750). I then spent most of the afternoon trying to figure out WHY the V6 TTL pass through WOULD NOT WORK with any of three of my D750 bodies but works fine my D800, D810 and D4s. I updated all the firmware on the D750 but it were to no avail. After purchasing the D750s early this year, I realized that my Phottix Odin wouldn't work properly but soon realize that if I jiggle the hot shoe connection a little and pull it back just a bit, it would work. So here, what through me off with the Cactus V6 is that it DID FIRE all my remote flashes while on the D750 but not the TTL pass-through on-camera flash which let's me believe initially what Pete Gebhardt had assumed to be an incompatibility issue were true. Finally, just before packing up everything to return to BH, I realize there must be one pin that's related to connecting the TTL passthrough is not connecting properly due to the slight opening gap on the D750's hot shoe. So again, I jiggle the Cactus V6 on the D750 hot shoe and pull it back just a bit, it start to work properly. However, I feel like that I may miss shots because of this issue. @Ray Chan - would I be able to replace these units with you in the near future once the new updated batch is ready? Sean, I think you should register your interest for having your V6 updated for D750 compatibility in the respective thread.